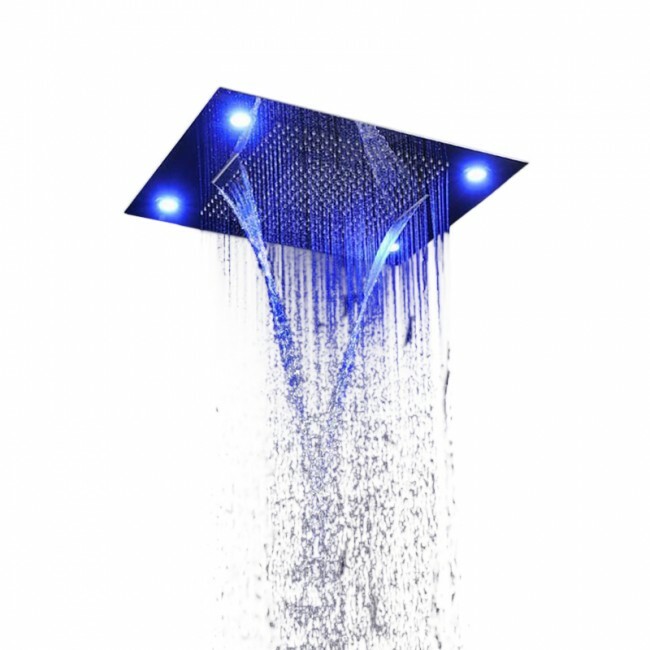 This oversize showerhead provides all over rainfall coverage and dual cascading water to massage tired neck and back muscles. Handheld shower and mixer valves and LED lights are standard. 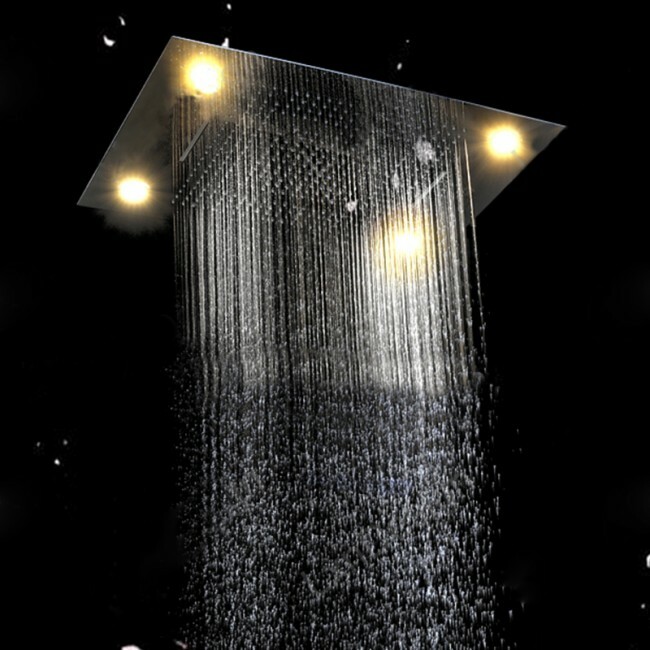 At 23" x 31" this oversize showerhead will enhance your showering experience. Size : 23" x 31"
This shower system is certainly expensive, but I think that the price is more than reasonable. Only sorry that it wasn't on sale (I saw some other shower set here that were on sale, so you may want to check that out). Regardless, I got this one because I liked how it looked in the picture and the product description, and I was not the least bit disappointed when I tried it after it was installed. I would consider myself as quite handy with tools, which is why I thought I could install this by myself. But as I got to it, I realized that it was more difficult than I first anticipated. In the end, I called up our plumber and asked him to complete the installation. Aside from that, I didn't have any other problem with this shower head. The LED lights were working fine (I thought I may have damaged them while I was trying to install the shower head), and the hand held shower's great. Nice product all in all. The one thing that really got to me was the long delivery. It says "ships in 24 to 48 hours" on the description but it took about three weeks for it to arrive to my doorstep. I don't know what the problem was or what the issue might have been. I'm just glad that it finally arrived. The shower set though was quite a charm. Great product I must say. 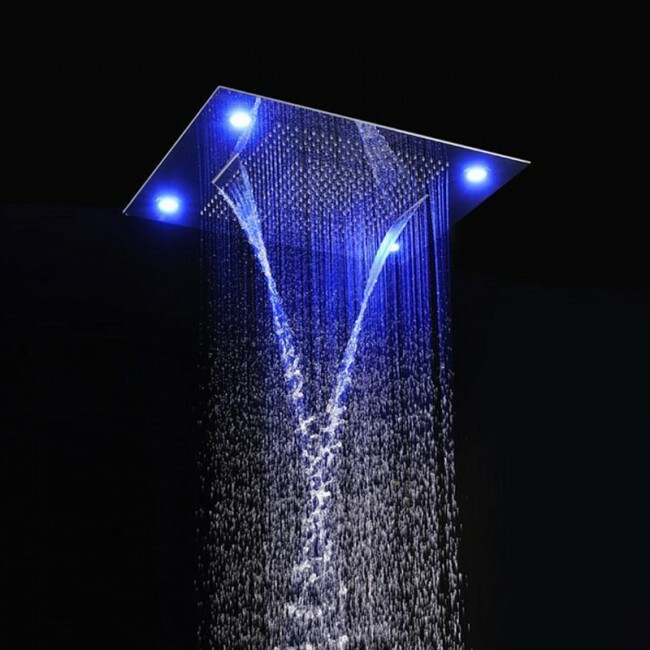 After seeing all the available shower heads with LED lights here in the site, we agreed that this would be the better option for us. The size was just right for what we wanted and the LED lights looked really nice in the picture. In real life, they're not as bright, but they do look good. For the price we paid, this one's definitely worth it. This is the very first shower head that I bought with LED lights, and though I was a bit skeptical at first, now I believe that this is indeed one awesome product. Though the shower head itself is really good considering function and quality, it's the LED lights that really got me interested. I'm just really hoping that these LED lights last me for a very long time.